Believe it or not, we are living in a golden age. This golden age, however, can not be seen. Instead, it exists in our ears in the form of podcasts. What started out as a humble medium for digital radio shows has exploded across countless categories, from the arts to science and medicine. Unlike many other entertainment and information mediums, the vast majority of podcasts are absolutely free. To start listening to podcasts, you need to use a dedicated podcasts app. If you use an iPhone, there is already one installed on your device. Android users do not have a built in app. However, for both platforms I recommend PocketCasts. The app is $4, but it provides users with a speedy and easy to use interface unrivaled by its competition. That being said, PocketCasts isn’t needed to listen to podcasts. For those not wishing to pay for an app, I would recommend Podcast & Radio Addict for Android and the default podcasts app on iOS. Now that you have the proper app, it’s time to dig into the individual shows. Each app should have a built in show browser where you can look around and subscribe to podcasts, much like you would subscribe to a magazine. But because we are living in a time where so many great podcasts are being made, it’s easy to get lost just trying to decide what to listen to. I by no means consider myself an expert on great podcasts, but there are a few recommendations I would like to make for anyone new to the medium. 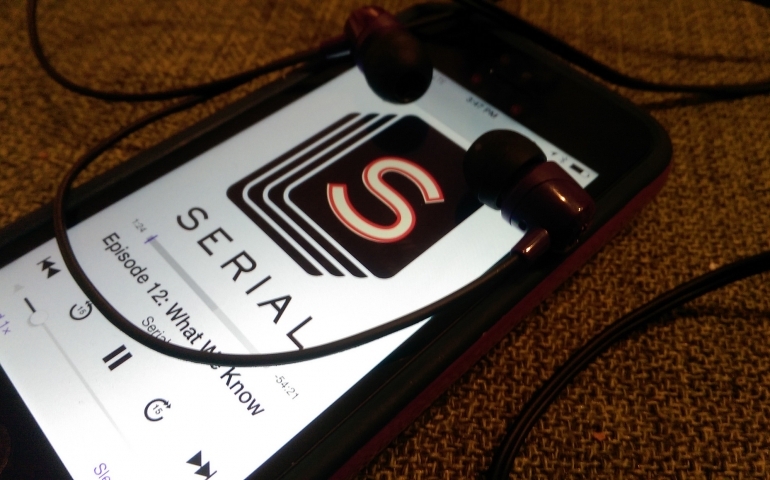 It is very likely that Serial is how you first heard about podcasts. Considered the first “hit podcast,” the show uses each season to study in depth one specific nonfiction story. The first season focused on the murder of a teenager in 1999, while season two is focusing on the strange case of Bowe Bergdahl, a United States soldier who was held captive by the Taliban for five years then released in exchange for five Guantanamo Bay prisoners. Unlike many other podcasts, each episode of this show needs to be heard in the order that they premiered. These are only three well made shows in a quickly growing artistic field. One of the most rewarding aspects of listening to podcasts is exploring the different shows to find one that resonates with you personally. If you have any great podcast recommendations, let us know in the comments section!